Two Philadelphia police officers have been suspended and could lose their jobs for allegedly beating a suspect in 2013. The officers face a range of criminal charges, and the city has already settled a lawsuit with the beating victim. 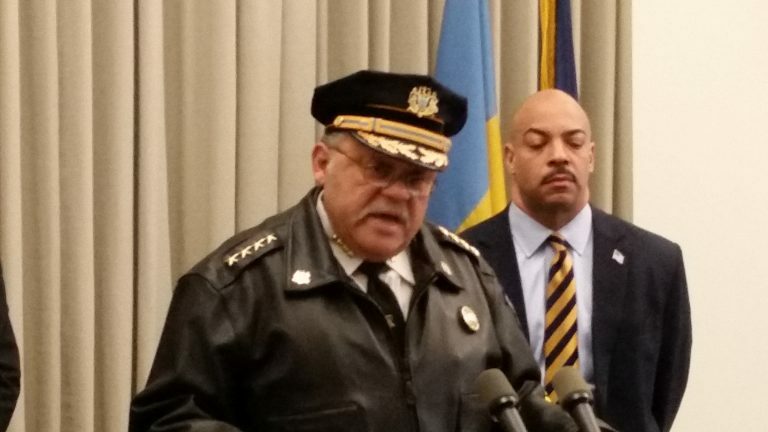 Officers Sean McKnight and Kevin Robinson falsified their official report, saying Najee Rivera resisted arrest, according to Philadelphia District Attorney Seth Williams. Surveillance video shows them knocking Rivera off his scooter and attacking him, Williams said Thursday. So much blood was on the ground, Williams said, another officer thought Rivera had been shot. Police Commissioner Charles Ramsey says the excessive force is unacceptable. Williams said his office will continue to be vigilant to make sure those entrusted to protect the public do not abuse their power. “The same rules should apply to everyone — rich or poor, black or white or a sworn officer with a badge,” he said. A police brutality suit brought by Rivera against the department has already been settled for $200,000.